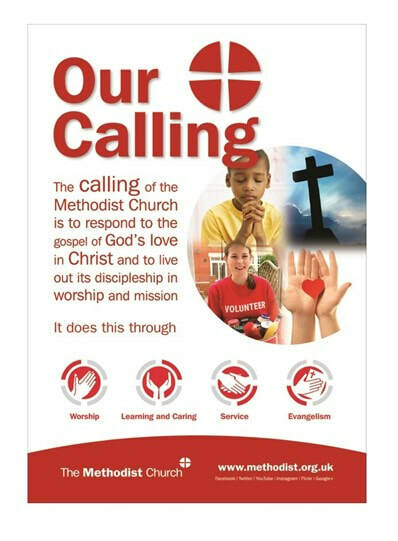 "Our Calling" is the vision of the mission of the Methodist Church. Produce something in a verbal medium (poetry, a talk, a meditation, a PowerPoint based on words) that you could use: (a) to share with a group what ‘calling’ means to you; and (b) to help them reflect on what 'calling' might mean to them. The church has a limited number of young people within its walls, and we're desperate to keep them there, and therefore we think the way to do it is to get them involved. They have to be seen, and then they'll want to stay, because we let them do the teaching once in a blue moon, and bring out the drums and guitar. The rest of the time they can sit and listen to the way we've always done it, and that will be ok. They'll be happy, us older people will endure what hardships we have to to keep them there, and we haven't had to change. That's the only way to do it, right? The immortal words of Tiny Tim seem to be the best way to sum up this week's reflection on the Christmas story. The account of Jesus' birth is given, and best understood by reading the accounts in the early chapters of both Matthew and Luke. Both tell different parts of the story, and are written to different audiences. I was always taught that we need to read more than just the story when we come to the Bible, and look at who wrote what to whom, what the message was they were trying to convey, and what that means for us, especially as we read it through our cultural lenses. So what's the Christmas story all about? I think it's about God blessing us, every one. Contemplation is the action of be present in the temple. "contemplation (n.): c. 1200, contemplacioun, 'religious musing,' from Old French contemplation and directly from Latin contemplationem (nominative contemplatio) 'act of looking at,' noun of action from past-participle stem of contemplari 'to gaze attentively, observe; consider, contemplate,' originally 'to mark out a space for observation' (as an augur does), from assimilated form of com-, here probably an intensive prefix (see com-), + templum 'area for the taking of auguries' (see temple (n.1))." ​For as long as I can remember I have wanted a dog. Not a sorry excuse for a dog that could be mistaken for a rat, but a proper dog: One that I could wrestle with, play with, and then have climb up next to me on the sofa for a cuddle; One that would be strong enough to protect my family, but gentle enough to let children play with him; One that I could take for a walk and then have him curl up under my desk when I work. I've got the rare opportunity to do a 2-part series with one of the churches in the circuit. They're a smaller congregation, but the are faithful, and active, and proved to be excellent company yesterday morning. Part one, yesterday, was titled "Mountain High", and in a few weeks I'll be back to do part two "Valley Low." Literally, a recipe that led to victory! Or more accurately, three recipes. Hucknall Central Methodist Church have a men's group who organise a family "Chilli and fireworks" evening each November. Jacket potatoes are accompanied by any number of different chillies that are made by men from the church. To spice things up a little (see what I did there?!) it's turned into a competition. For two years in a row, I have entered chillies and have walked away with a prize. Here are the recipes I went with. "Lost my Wonder, Love and Praise..?" Part one, of what I'm sure will be thousands of confessions of bad habits I have... And why this one is making me think about worship. This one isn't about my inability to regularly update my website, nor my consistency with producing coherent thoughts or words. It's not one of those deeply personal issues to do with toilet seats or nail biting. This one is all about books. Even then I'm going to have to narrow it down, otherwise we'll be here all day. I'm not here just to confess my tendency to turn down corners of pages instead of reaching for a bookmark, nor my habit of buying books based on recommendations knowing full well that my "to read" list is more than long enough, nor my tendency to start umpteen books at once. Chapter three of my fictional work.